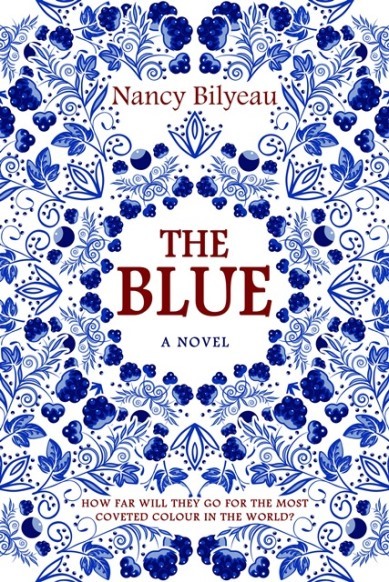 Happy Friday and welcome to my stop on The Blue by Nancy Bilyeau blog tour hosted by Historical Fiction Virtual Book Tours! I have a review and giveaway for you so make sure to read all the way to the bottom to check it out. In the 1700s, porcelain is at the center of London in every way. It is traded like money and is possibly more valuable. Genevieve Planche is an English born descendent of Huguenots, and she longs to be a painter. Venice is where she anticipates accomplishing her dream. Sir Gabriel Courtney and Genevieve cross paths, and he offers her the chance to go to Venice…if she works for him on a special task: finding out the secret behind the color blue. With this assignment, Genevieve finds out the secrets of porcelain, as well as the “craft” of industrial espionage. This antique lover fell for the storyline all the way. Learning the process of porcelain-making was riveting, especially when learning how important blue was to the craft. Genevieve is a beautifully drawn character, and the exploration of greed on the hunt for success was carefully rendered. In addition, Bilyeau’s writing was lovingly descriptive, and I was transported to fascinating Derby Porcelain Works. When I saw that cover, I immediately thought of Delft china. Beautiful cover and review! Thanks, Marialyce! Isn’t that a stunning cover? Lovely review! Glad you enjoyed it too! Thank you, Nicki! I’m happy to be in the same boat with you on this one! 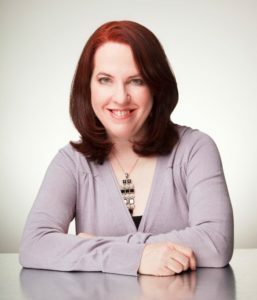 Thank you so much for hosting Nancy’s blog tour! I love this photo so much and am thrilled that you enjoyed the read! Thanks, Berit! It was a thrilling historical! Thank you, Hayley! I could see you enjoying this one too. Sounds unique. Enjoyed your post. Oh, that sounds so stunning, Anne! I would definitely love to see it! I love porcelain—what an interesting book! Great review, Jennifer! Thanks, Mack! It was such a good read- so much to offer! Hmmm never read a book like this before. Sounds intriguing though! Glad you enjoyed it! Great review, Jennifer and happy weekend! Thanks, Beth! That is strange- and fun! Isn’t that a stunning cover? I definitely want to read your silk book now. I was out of town this week so I’m slowly catching up with my blog spots. Jonetta, I’m impressed you are trying to catch up on everything. My internet was down most of the weekend, and I’m behind, too. Oh, I love that you collect porcelain demitasse cups and saucers. I am haphazard in my antique collecting, but I’ve always drawn to the color blue. The Dutch influence is touched on if I recall correctly, but the focus is more on the UK setting. This cover is one of the prettiest that I have ever seen, but also I love how this seems to be the perfect mix of art and history. All so true, LP. I want to buy a copy to have that book on my shelf, and I would re-read it, too, and I rarely re-read! Thank you, Kathy! That box is from the late 1800s and a treasure to me! I don’t think it’s porcelain- it has a shinier appearance, and the hand painting is wearing off. Luckily I have another piece that matches it, a small tray, I’ll try to work into a pic some time! OHHHH I love your article! One of my majors in undergrad was anthropology, and my alter ego would now be an archaeologist. If I knew that about the tartar storing things like pigments, I had forgotten it, and how completely enthralling. Thank you for sharing that with me! Lovely review, Jennifer and I love the pic. Glad you enjoyed this one. I can imagine how delightful it was to learn more about the antiques. Thanks, Diana! It was interesting and quite fun how it became thrilling too! So much intrigue about porcelain- who knew? Glad to hear you enjoyed it 🙂 I went to a porcelain factory (? if that’s the right word) once and i got to watch them painting all those lovely plates and cups. It was really cool. Thanks, Norrie! It was so lovely and even had some thrilling elements! I would LOVE to visit a porcelain factory- how fun! That cover though! My mom collects a line of (porcelain, ceramic, no idea?) that is predominantly blue and white, and this cover reminds me of that. As well as some (porcelain, ceramic, no idea?) tiles that I bought in Italy many moons ago. So. Pretty. Besides that, great review. Love historical fiction, and I love learning about the process of making things. Adding it to my TBR. Me, too, to all, Myndi! They use the most beautiful blue in Italy- it matches the sea! I brought some back myself. I think you’d enjoy this. It’s got a nice balance of the how and then some fun intrigue and espionage! Oooh, I love some intrigue!